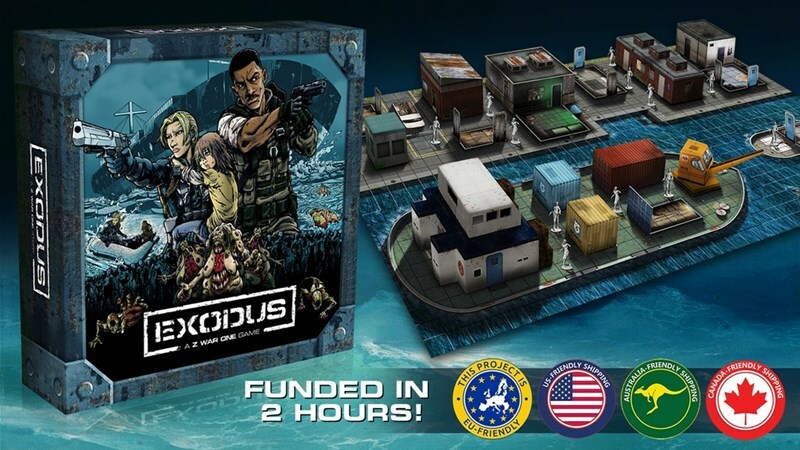 Dice Sports is running a Kickstarter campaign for Z War One: Exodus, their new survival horror board game. You've been stranded on an industrial island as a rapidly-mutating virus converts everything around you into gruesome monsters. Thankfully, you're a military veteran and your training will see you through... hopefully... maybe... possibly. For those that have seen Zombieland, you know all about the "double tap." That's to say, always shoot a zombie twice, just to make sure they stay down. Sometimes that first shot doesn't quite do it, so you need another go. 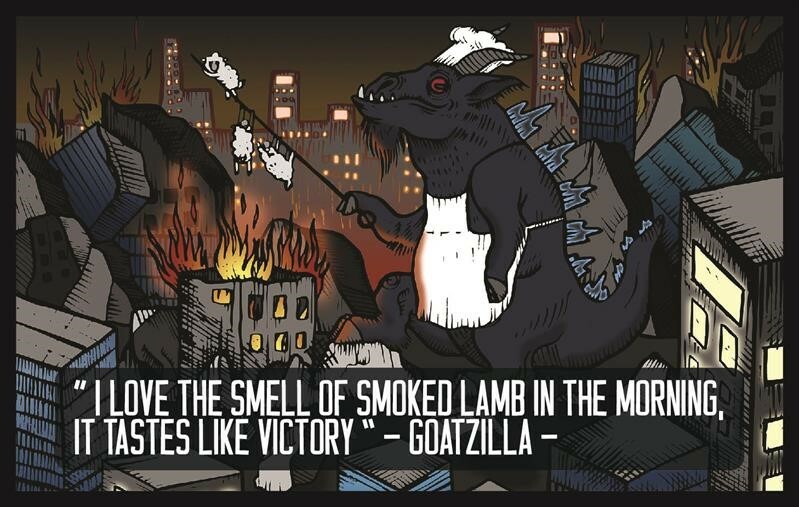 Well, the same is true for Kickstarter campaigns (whether they're about zombies or not. It just happens that this one is, so bonus). 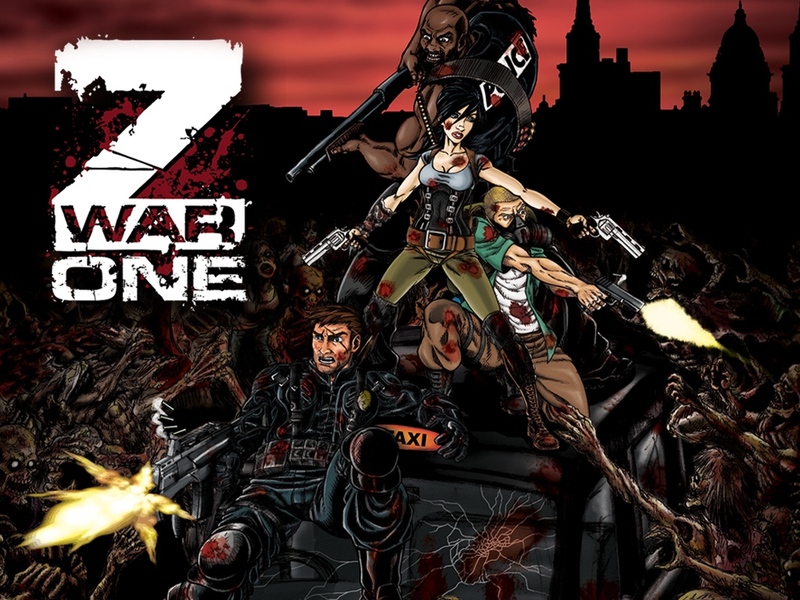 Z War One's first campaign was cancelled. So they reloaded and have shot again. This time, they've already made it over their funding goal. 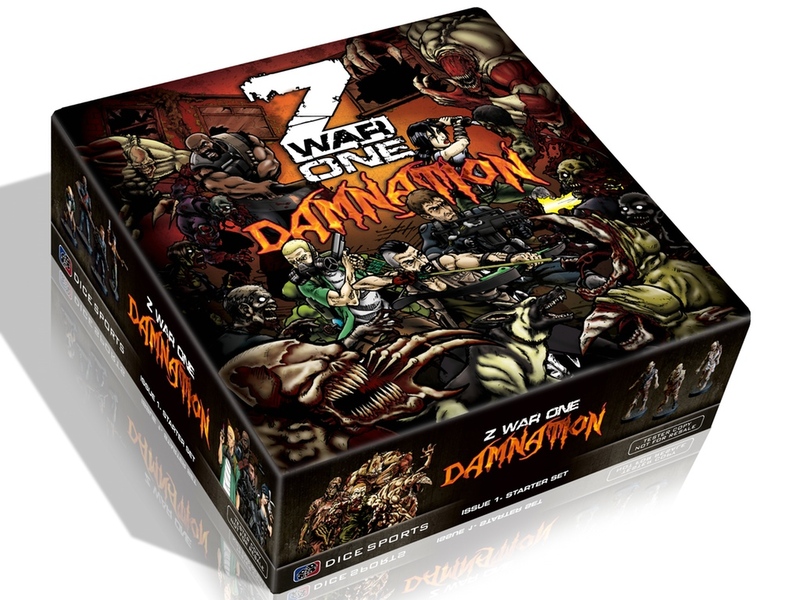 Dice Sports has launched their Kickstarter campaign for Z War One, their new episodic comic book miniature board game. This campaign is to fund the Issue #1 box. Each issue is a new expansion that will continue on the overall story of the Z War One world. They will bring in new characters, new game elements, new environments, and new challenges as our stalwart heroes look to survive in a world gone to the dead.